Shipping Soon: Team Fortress 2 Deluxe Action Figures & Greta Gremlin! You are here: NECAOnline.com » Licenses » Movies » Gremlins » Shipping Soon: Team Fortress 2 Deluxe Action Figures & Greta Gremlin! Coming soon to stores — but these hot releases won’t be there long! Their worlds couldn’t be more different, but both Greta and Demoman & Pyro from Team Fortress 2 have this in common: They’re limited edition and they won’t last long. Our life-size Greta Gremlin stunt puppet prop replica and Team Fortress 2 Team RED series 1 action figures will be in stores soon, so make plans now! In fact, the Team Fortress 2 figures — our first, though we just unveiled a Team BLU follow-up — are sold out from our end, so if you want to get in on their in-game bonus content and general awesomeness, the rush is on. Based on the original film puppet as seen in Gremlins 2: The New Batch! 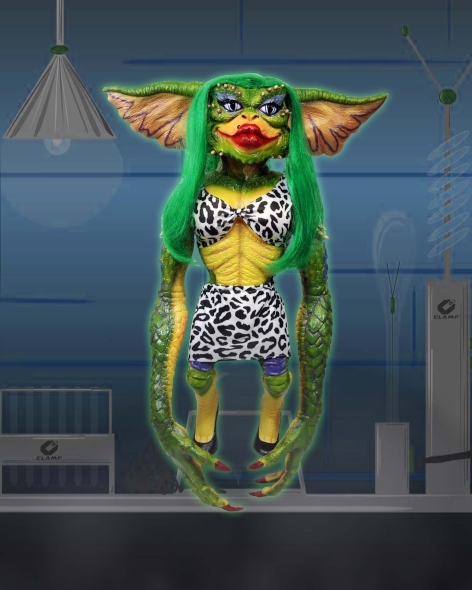 This rubber and latex figure stands nearly 30″ tall and features fake eyelashes, a bright green wig, tailored clothing, and high heeled shoes. This frightening beauty is hand painted and comes complete with metal display stand. Limited to 1000 pieces worldwide! 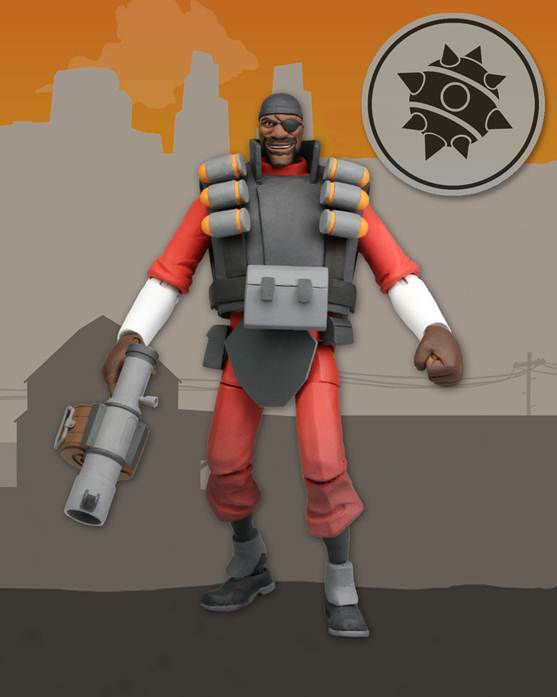 The 7″ scale Demoman and Pyro feature over 25 points of articulation and include their signature in-game weapons and accessories. 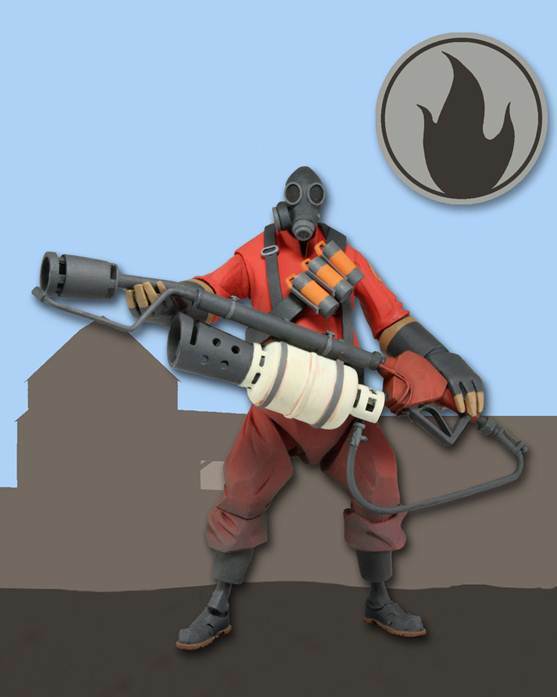 These figures are the first two characters in the new TF2 collection and include flamethrower and grenade launcher accessories respectively. You’d never know it from the plunging temperatures, but spring is right around the corner and we’ve got huge things on the way! Keep it tuned to the NECA blog for all the latest! And don’t forget to check in on Twitter, Facebook and Google Plus for more behind-the-scenes looks and secret reveals! Shipping This Week – Team Fortress 2 Series 3.5 BLU and Spider Gremlin Re-Release! Toy Fair 2018 – Day 4 Reveals: Deluxe Crash Bandicoot and Team Fortress 2 Series 3.5 BLU Action Figures! Toy Fair 2018 – Day 2 Reveals: Action Figures from Aliens Series 13, Alien vs Predator (Arcade) & more! SDCC 2018 Day 3: Jet Pack Crash Bandicoot, God of War 2 Pack, and Teenage Mutant Ninja Turtles Quarter Scale Foot Soldier!